The calendar is available in both list and calendar format. You will be able to download to excel compatible .csv format. The calendar can export 3 different options. 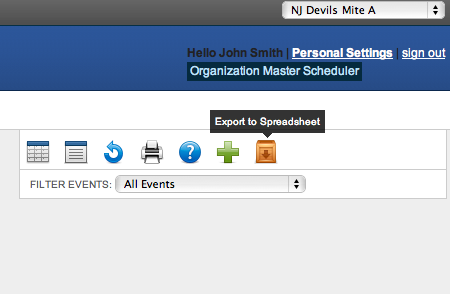 Export the Current list (Exports what is in the list view, you can filter the events and export that result. 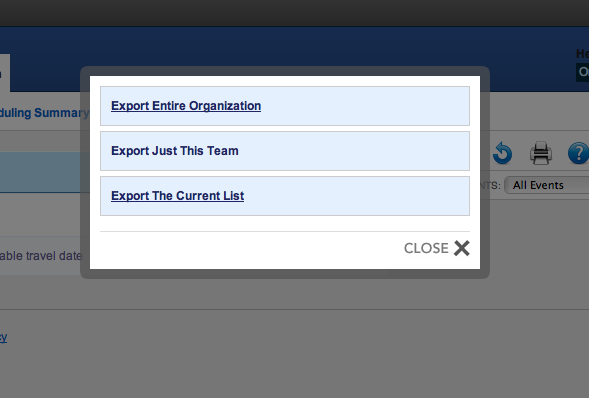 Access all three export options while looking at the list view. Click on an export option.